Sat., Dec. 29, 2018, 1:06 p.m.
BOZEMAN, Mont. 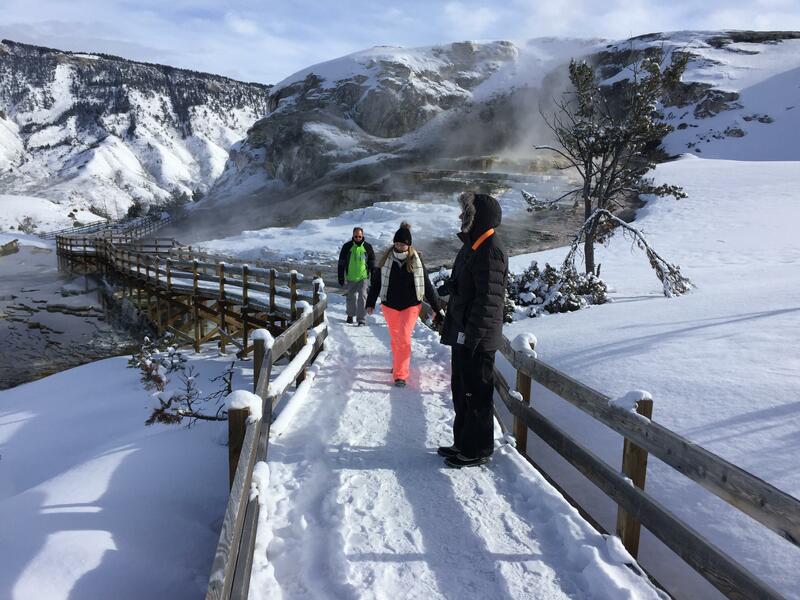 – While there’s no one working at Yellowstone National Park’s entrance stations or visitor centers due to the partial government shutdown, snowmobile and snow coach guides are still taking tourists in to the park’s interior. And they’re packing in toilet paper and packing out trash. Travis Watt, general manager of Three Bear Lodge and See Yellowstone Alpen Guides in West Yellowstone, told the Bozeman Daily Chronicle his guides and those at other companies are pitching in to handle some of the basic duties. Guides are also reminding visitors to clean up after themselves. The park’s concessionaire, Xanterra, is keeping the road open and grooming ski trails. Published: Dec. 29, 2018, 1:06 p.m.